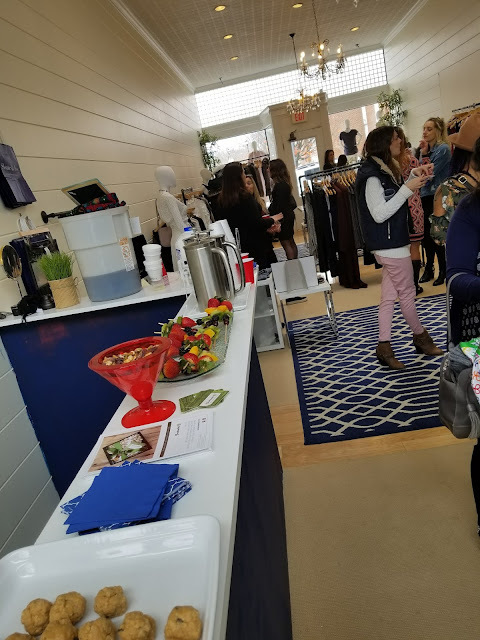 I'm writing this in nearly 80 degrees in Florida, but just a few short weeks ago on a snow day I was back in Wellesley for a networking event with a few of the moms I had met at my first paint night. As my first school year with both kids in school comes to a close I'm so thankful for opportunities like this to get out and meet fellow mompreneurs. 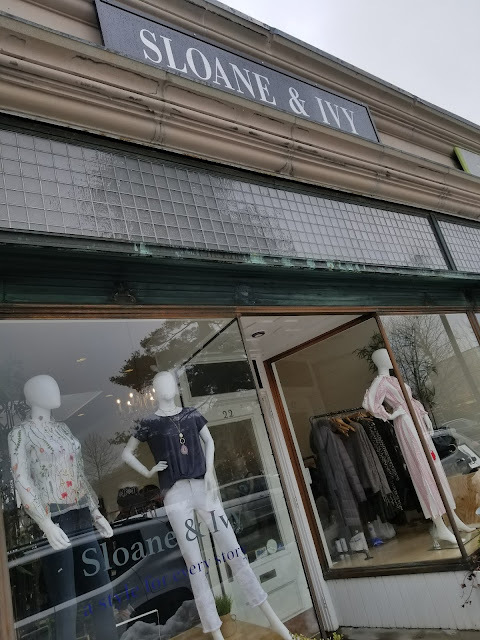 We were hosted at the fabulous boutique Sloane & Ivy just around the corner from my alma mater. It was great hearing again from Amanda from Parenting with a Punch especially as a client gave in impromptu testimonial that so heartwarming. 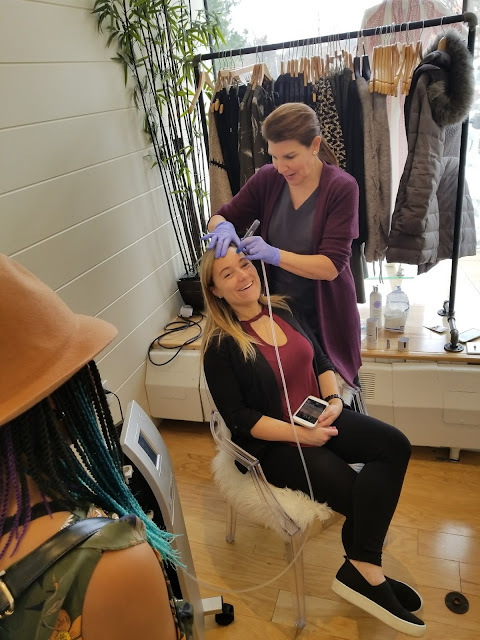 Novo Sano MedSpas was on hand for beauty treatments and Jackie founder of NEXT On Scene and JZ Social Enterprises, LLC which had organized the event even got a moment of indulgence to herself! Novo Sano is a med spa that specializes in dermaplaning, chemical peels, collagen injection therapy and so much more! I ran out the house uncaffeinated that morning so I was thrilled to see Bean Trust was there providing much needed brews. The founder Erik and I had an intriguing conversation about his business and he provided some helpful local resources for me as I continue to grow my business. And yes, he really does look like his avatar in real life! One Hope Wine was on site not only providing special beverages including sparkling wine for the mommies, but sharing about their business model which gives back to a host of charities throughout the world. 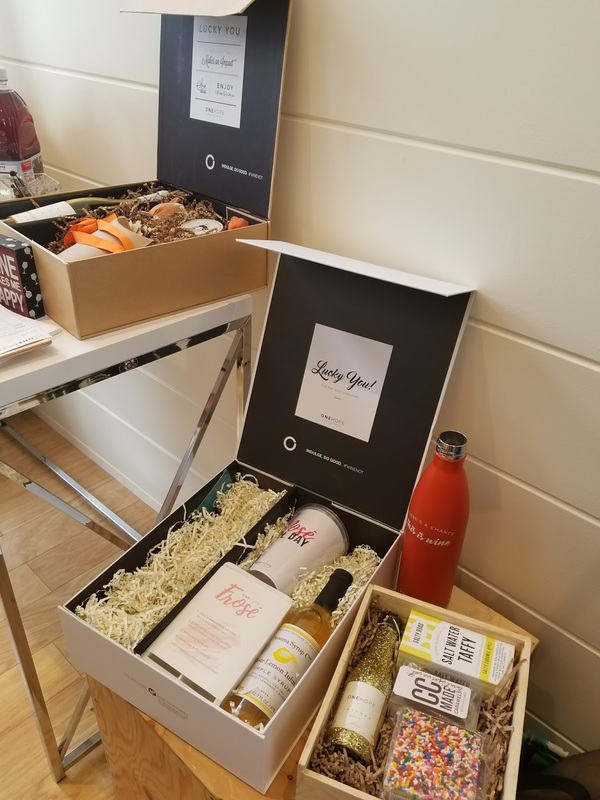 And they reassured me that they have other things than wine: they have beautifully curated baskets that are perfect for gift giving and hosting parties. 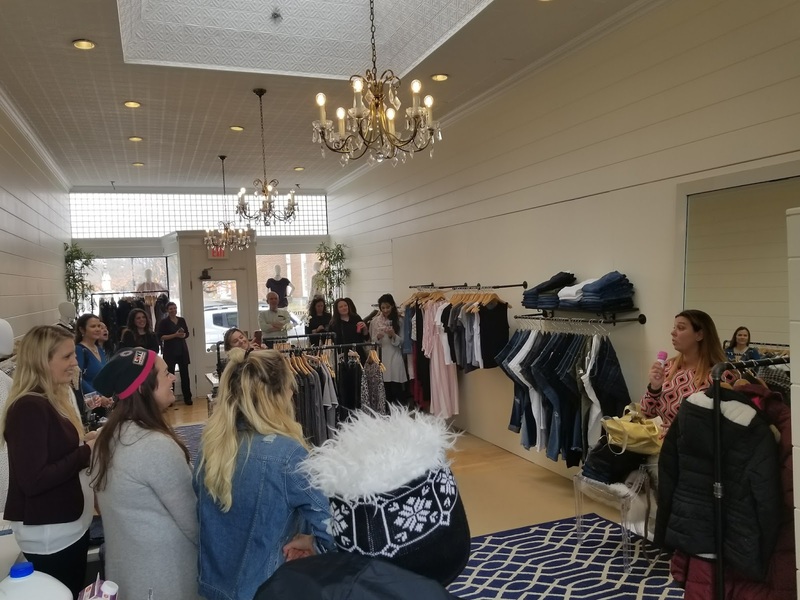 Do you get out to meet moms in your area? What are your favorite types of events to go to?